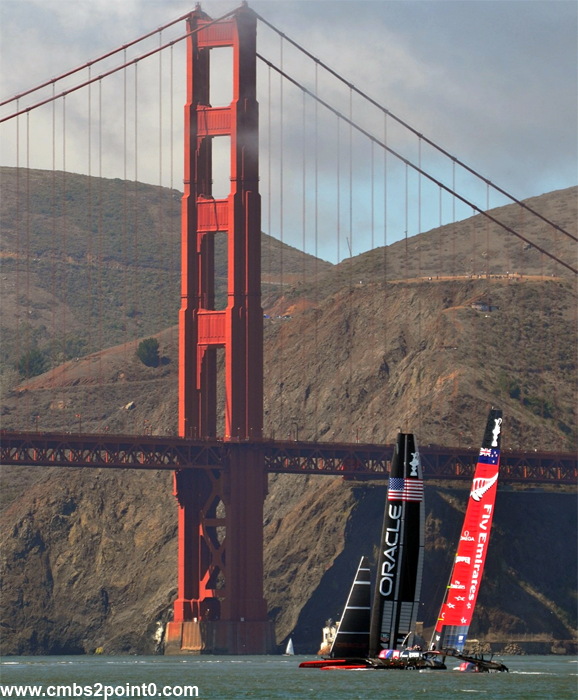 I am a member of the Golden Gate Yacht Club: home to Team USA which was competing against Team New Zealand. The race started terribly for Team USA. We found ourselves down 8-1 in a best of 17 competition (first team to 9 wins). Facing elimination, we needed to sweep 8 races in a row to successfully defend the Cup. Trying to find something to change our luck, I brought a broom into the Club to try and rally for what seemed like an impossible task. Day after day, Team USA started grinding out the wins. The team made major changes to the weight distribution on the boat, changed its technique on sailing upwind and replaced the tactician. Me, the broom and our Commodore, the Mechanic. These changes (plus whatever karma the broom gave us!) got us to 8-8, one win away from a sweep and an epic comeback. The winner-take-all final went down on a perfect September day. Everyone took their spots at the club early. I had a table outside on the deck sitting next to the Spithill family (our skipper/helmsman) and other friends and family of the crew. Team New Zealand got the jump and led at the first two marks. But, on the third leg, we passed them and never looked back — completing a comeback that has been described as one of the greatest comebacks in sport. 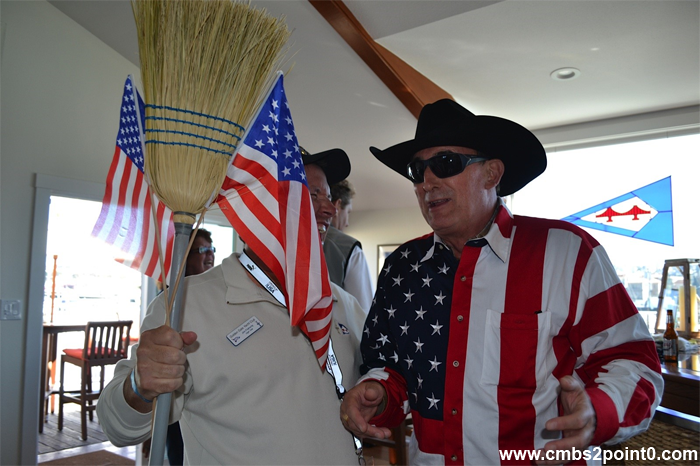 The celebration was captured in a New York Times article that describes the GGYC, the broom and the ensuing party. If you’re really interested in the whole story, a great book called “The Billionaire and the Mechanic” describes how Larry Ellison teamed up with a car mechanic (who also was the commodore of the blue collar GGYC) to win the America’s Cup and bring it to San Francisco. 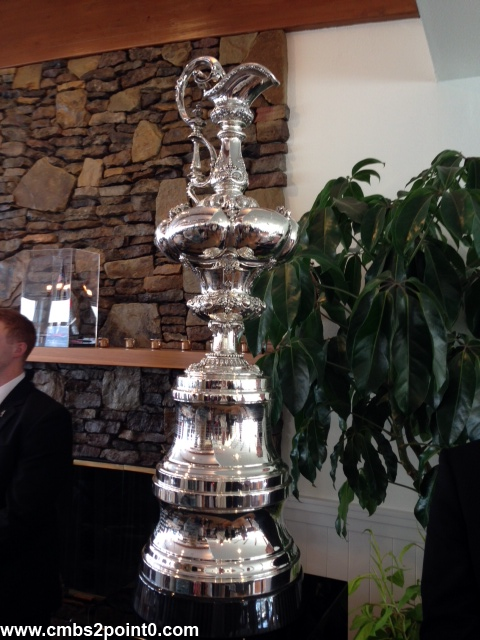 The America’s Cup stays here!